CISO Responsibility is changing over time. 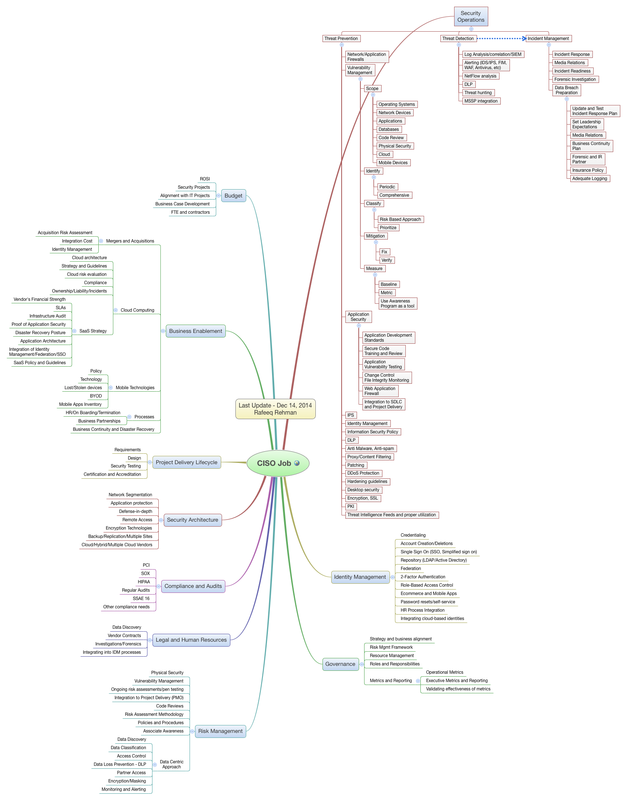 This is the latest release of my CISO MindMap to show the complex role of a CISO’s life. This entry was posted in InfoSec, Leadership. Bookmark the permalink.